A dance between a bride and her father is a pleasure to document. 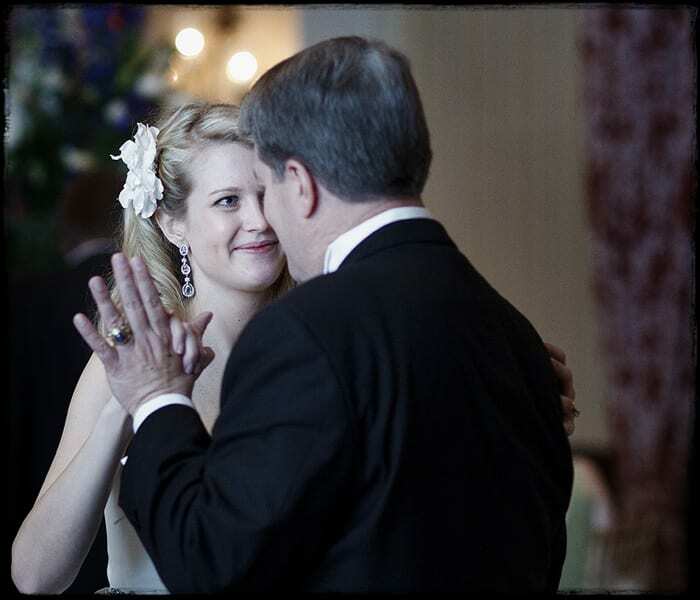 This past weekend was no different as Carleen dances with her dad. What I love about this image is quite simply, her expression…specifically, the look in her eye. I absolutely love natural, ambient light photography with shallow depth of field. It certainly compliments such a wonderful moment.